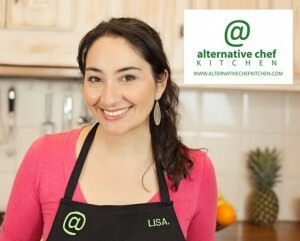 Meet Lisa, the Producer and creator of Alternative Chef Kitchen. 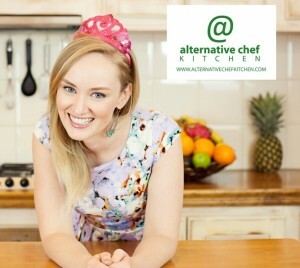 In the show she is the “alternative chef” who shows you how to cook without dairy, soy, gluten, egg or meat. Lisa is also the creator and producer of the show. Lisa originally trained as a medical research scientist where she completed a Bachelor of Science degree with Honours (in the area of reproductive biology) before she re-trained to become a naturopath to complete Advanced Diplomas in Naturopathy, Nutrition and Herbal Medicine. 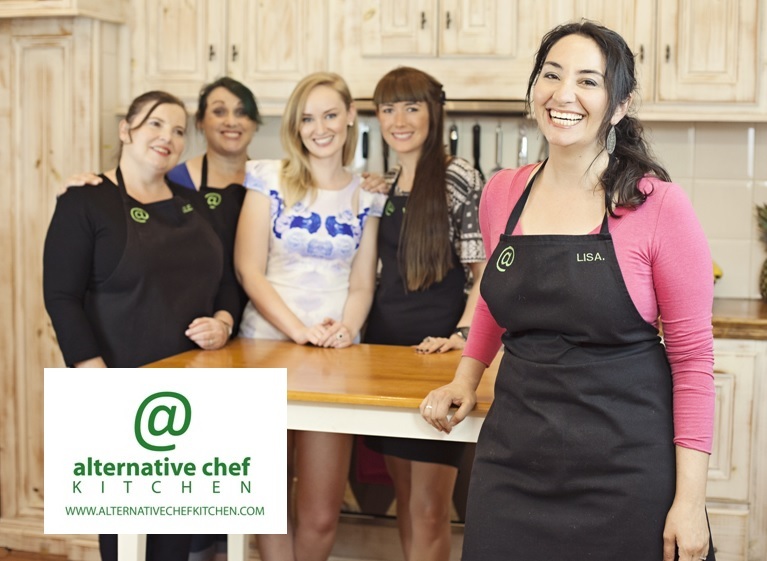 Lisa’s recipe ideas are as down-to-earth as her clinical approach and her food philosophy which is “Do the best you can with the resources you have available in your time, your kitchen and your budget. Eat a mostly plant-based diet, eat more veggies, eat organic when you can, eat home-made when you can, eat whole foods when you can.” Her recipes have been featured in both local and international magazines. Lisa’s daughter was diagnosed with a dairy and soy allergy as an infant (which she has since outgrown and now just a dairy intolerance remains). Lisa also personally has an intolerance to dairy (and there are a few other odd reactions thrown in eg. soy). In addition, Lisa and her family eat a mostly plant-based diet for health and environmental reasons. Her experience with her daughter and food intolerance clients in clinic was one of the inspirations to create the show to help people learn to cook around more than one intolerance. Lisa likes to show people simple options with foods that aren’t too hard for them to acquire as a busy mum she can appreciate not having a lot of spare time. Lisa also loves creating more inventive alternatives which surprise people by their appearance, taste or texture with their similarity to the original foods. Meet Anne. 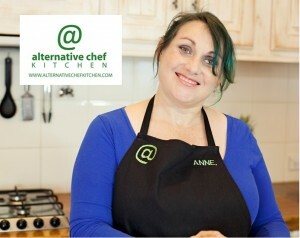 By day Anne is the “alternative chef” who cooks without dairy (and meat) on the show and by night (when she’s writing not cooking) she’s an award-winning multi-published romance author of over 60 books!!! (Which we think is pretty cool). She’s going warm your heart and make you laugh as you get to know her. Anne’s food and cooking philosophy is to “go to the supermarket, get what she needs and then go home and make it.” She doesn’t have time for 3000 ingredients or steps to a recipe, and if you don’t either, you’re going to love Anne’s recipes. 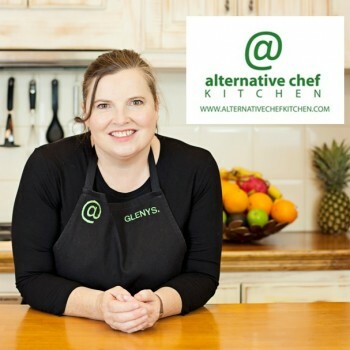 On the show Anne cooks without dairy, she is dairy intolerant along with a number of other intolerances, and her daughter also has a number of intolerances, so she had to teach herself how to be an “alternative chef”. She’s an award-winning multi-published author with a Master in Arts in Writing and Literature and written over 60 novels with Harlequin Mills and Boon. Meet Hayley. 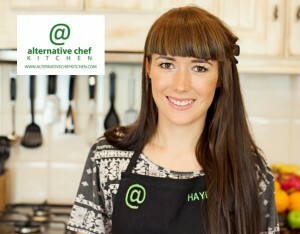 She’s the raw vegan “alternative chef” on the show. She’s completed a nutrition degree and you’re going to love her sweet character as much as we love the cakes she makes in her business Raw Karma. Hayley’s been featured in publications such as The Age, The Sydney Morning Herald and Wellbeing Magazine just to name a few. As a vegan Hayley is committed to living a cruelty free lifestyle as much as possible and she avoids dairy, eggs, all meats and seafood and other animal derived food products in her diet. Her passion is to make it possible for people to have more cruelty-free food options. On the show Hayley uses raw plant-foods to show viewers that there are so many exciting ways to eat fresh veggies. Including more vegetables in your diet doesn’t mean only eating ice-berg lettuce salads. Hayley’s food philosophy is shaped by her love of animals so she lives a vegan lifestyle as well as eating a vegan diet which includes no animal products and she encourages people to eat as many organic whole foods as possible. Meet Glenys. She’s the whole food “alternative chef” on the show. In everyday life Glenys is a busy mum of 3, she been nursing for over 35 years and has a Masters degree in Critical Care nursing and Advanced Diplomas in Naturopathy, Nutrition and Herbal Medicine. She currently still works in the hospital system as a critical care nurse, and she also runs a busy naturopathic clinic in Adelaide. 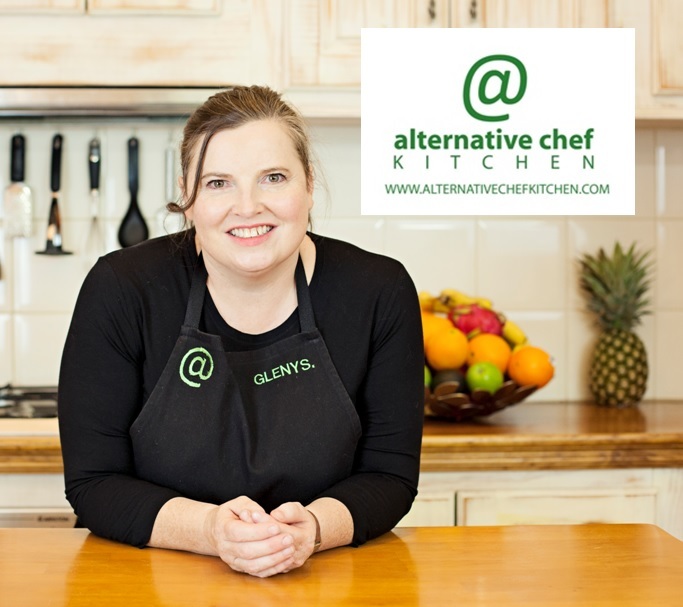 Glenys studied naturopathy to help educate people about how to cook and eat better so they can optimise their health. While Glenys doesn’t personally suffer from food intolerances, she feels better when she includes more whole foods in her diet and eats a mostly plant-based diet. We LOVE Glenys and we know that you will too. Meet Karina the fun, lovable host of the show. In everyday life Karina is a naturopath with Advanced Diplomas in both Naturopathy and Herbal Medicine. Karina runs a busy naturopathic clinic in Adelaide and she is the co-founder of Bodhi Cleanse, an organic juice business in Adelaide. Karina’s food and health philosophy is for people to eat a diet of fresh unprocessed foods, to drink water and to exercise – not just in a gym but to get out in nature too. To find out more about the show click here.